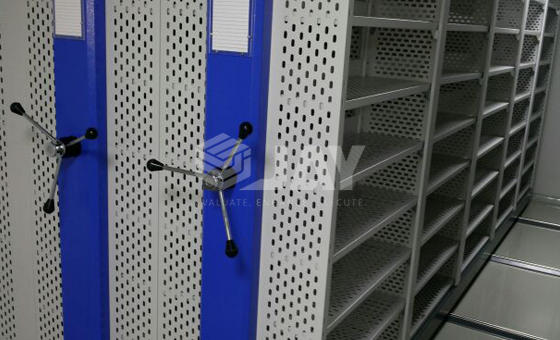 Mobile Shelving-Compactors are a compact archive storage system comprising of shelving or lockers mounted on mobile bases which slide along rails. This means that all but one of the aisles between the shelving units are eliminated and the modules are moved to access the required aisle. 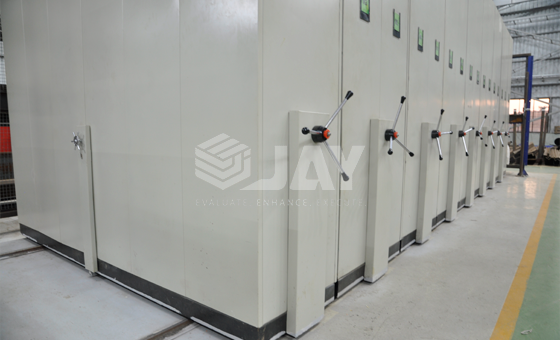 This system optimizes the available space, guaranteeing that archived material is kept in order, clean & safe. 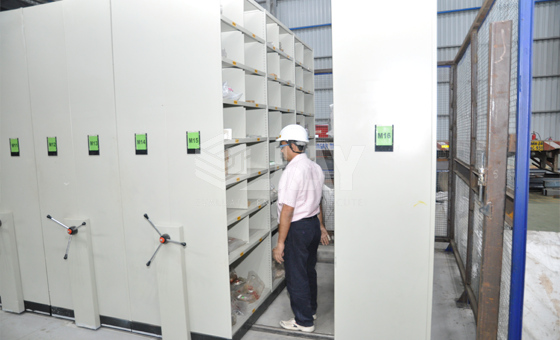 This is a compact storage system, therefore storage space can be doubled, or the amount of space required reduced. 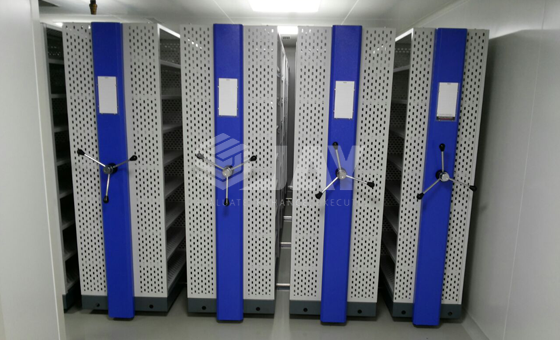 Mobile shelving is ideal for the storage of all types of books and documents, making it a perfect system for office, libraries, publishing houses, technical archives, and even in the industry and warehouses. 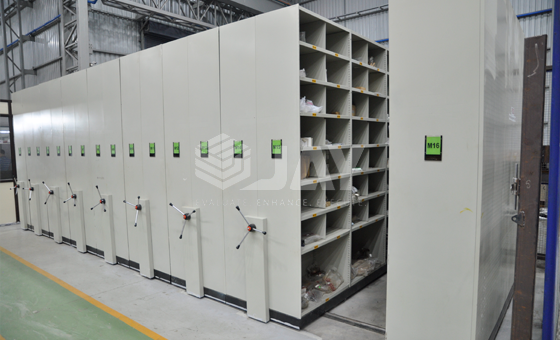 It can also be used to store other types of small articles, such as pharmaceutical products or spare parts. Mobile shelving-Compactor system adapts perfectly to the available space and to the characteristics of the product being stored. 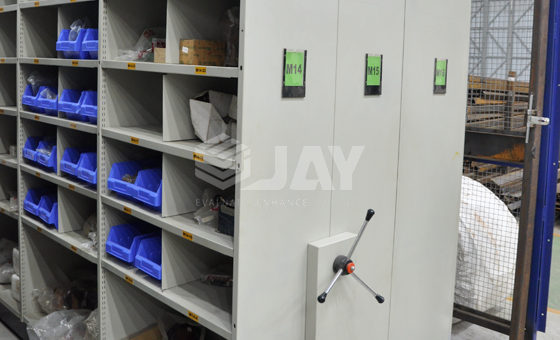 The 'Jay Storage' technical department will assist in providing you with the best solution for your needs, thus creating a custom built system in all aspects of your product range. 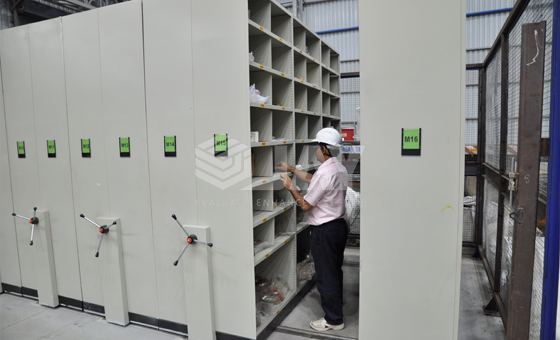 Cleanness : as there are no asiles, the shelving units form a closed block, reducing the amount of dust entering. Efficiency : required space is reduced and material is easily classified. 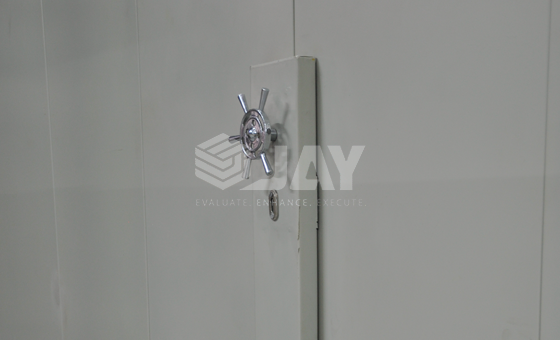 Security : the security lock for the lockers gurantees that Access is restricted to authorised personnel. Versatility : accessories, shelf levels at 25mm intervals and a variety of sizes mean the shelving can be adapted to meet all types of requirements. 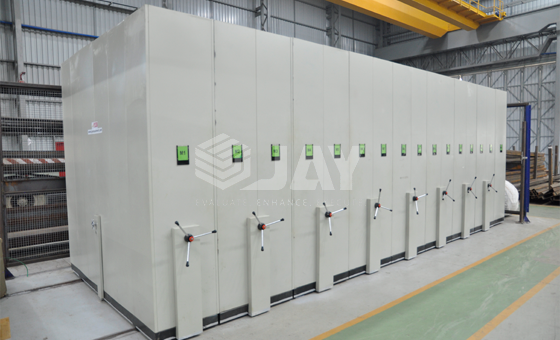 Strength : the installation is made of componenets designed to ensure its overall strength. 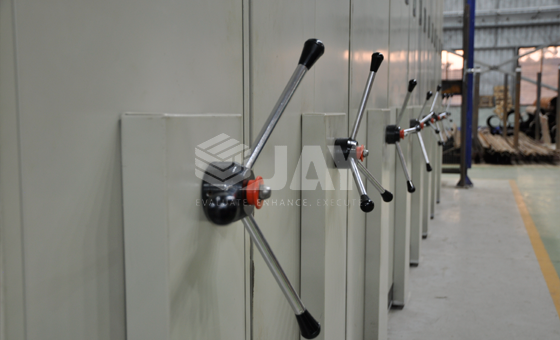 Minimum effort : the design of the wheel or the handle ensures more ergonomic shelf movement. 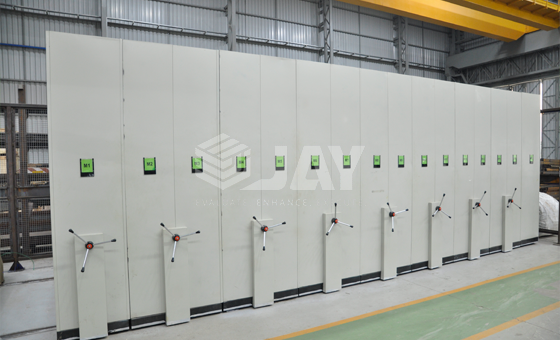 Easy to assemble : its fully modular construction makes the system easy to handle and assemble.